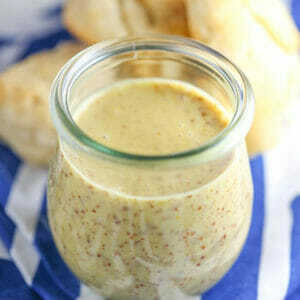 In the jar of a blender, combine the mustard, vinegar, honey, and garlic and blend until smooth. While the blender is running, add the oil. Season with salt and pepper to taste. If you prefer a thicker dressing, add a little mayonnaise or plain Greek yogurt until the desired consistency is reached.